The Tata Altroz has been spied completely undisguised in India for time, courtesy Super Charged. This is also the first time the production Tata 45X featuring four-double-spoke alloy wheels has shown up without any camouflage. Tata Motors will manufacture the Altroz, the first car underpinned by the Advanced Modular Platform, at the Pune plant. The Tata Altroz is the second model after the Tata Harrier C-SUV to incorporate the IMPACT 2.0 design philosophy. It measures 3,988 mm in length, 1,754 mm in width and 1,505 mm in height. Its wheelbase spans a length of 2,501 mm. Underpinning this B-segment hatchback is a newly developed Advanced Modular Platform, also called Alfa Architecture. 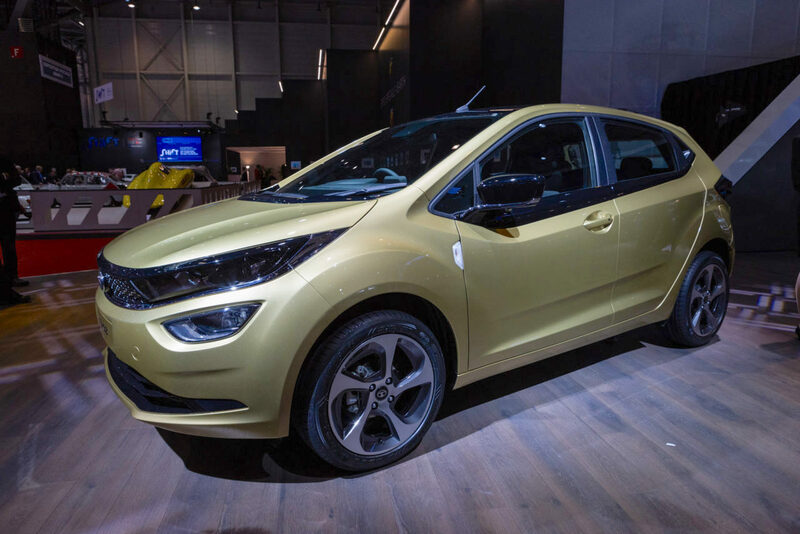 The Tata Altroz will come with a more refined version of the Tata Tiago’s 1.2-litre Revotron naturally aspirated three-cylinder petrol engine, as well as the Tata Nexon’s 1.2-litre Revotron turbocharged three-cylinder petrol and 1.5-litre Revotorq turbocharged four-cylinder diesel engines - both in a detuned form. The 1.2-litre turbocharged petrol engine makes 75 kW (102 PS) at 5,500 rpm and 140 Nm of torque at 1,750-4,000 rpm. It is said that customers selecting the 1.2-litre naturally aspirated petrol engine will get the option of a mild-hybrid system. A 5-speed manual transmission has been confirmed, while a dual-clutch automatic unit is reportedly in the works, and it could see a phased introduction. The Tata Altroz will be available with three engine options. A pure electric variant will follow by the start of 2021. The Tata Altroz will be a replacement for the Tata Bolt and compete with the Hyundai i20, Maruti Baleno and Honda Jazz in the domestic market. Its launch is expected to take place in July this year. A pure electric variant, which was showcased at the 2019 Geneva Motor Show, will follow by early 2021.